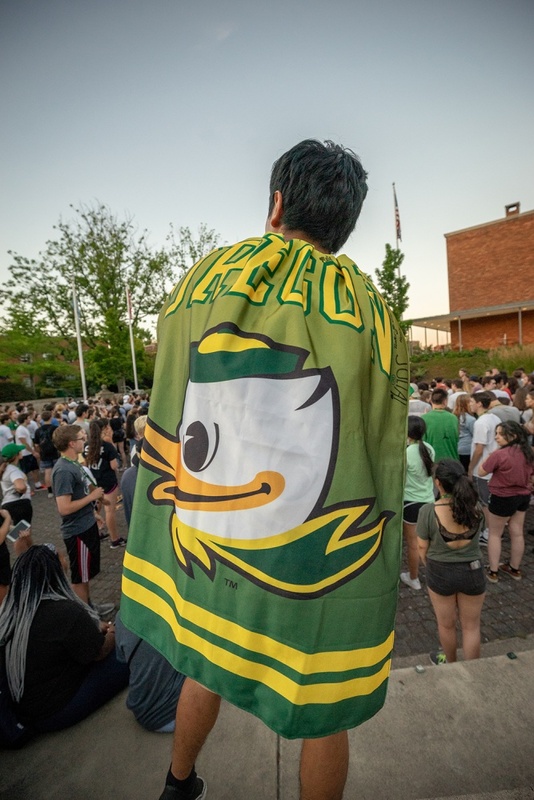 It’s a familiar rite of summer at the University of Oregon: Hundreds of incoming freshmen and family members converge on campus for two days to learn what it means to be a Duck. 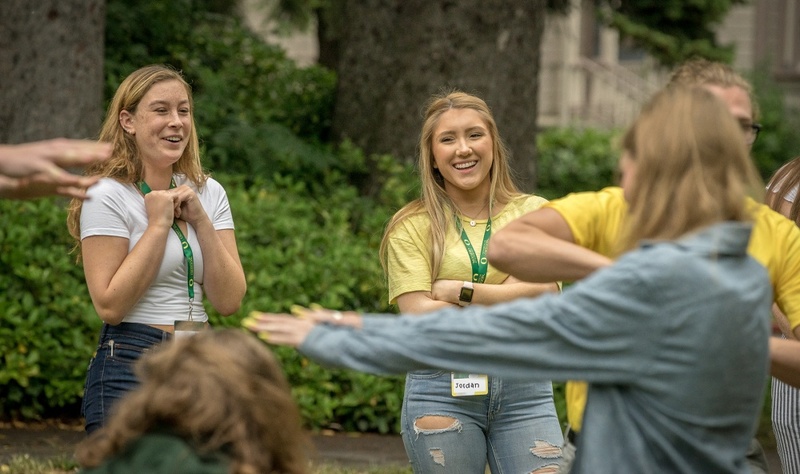 IntroDUCKtion, the UO’s long-running summer orientation program, gives new Ducks a chance to become familiar with campus, register for classes and meet new friends. 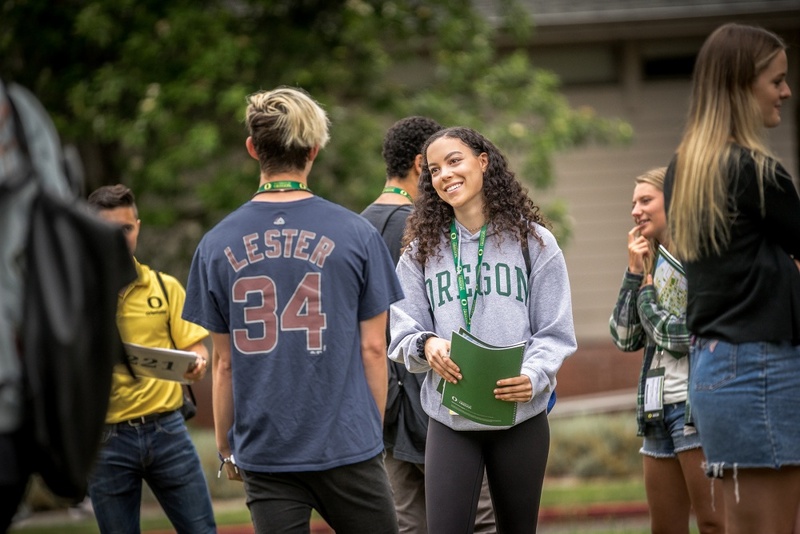 They learn what to expect when they arrive for fall classes, and just as important, they learn what will be expected of them, both in and out of the classroom. 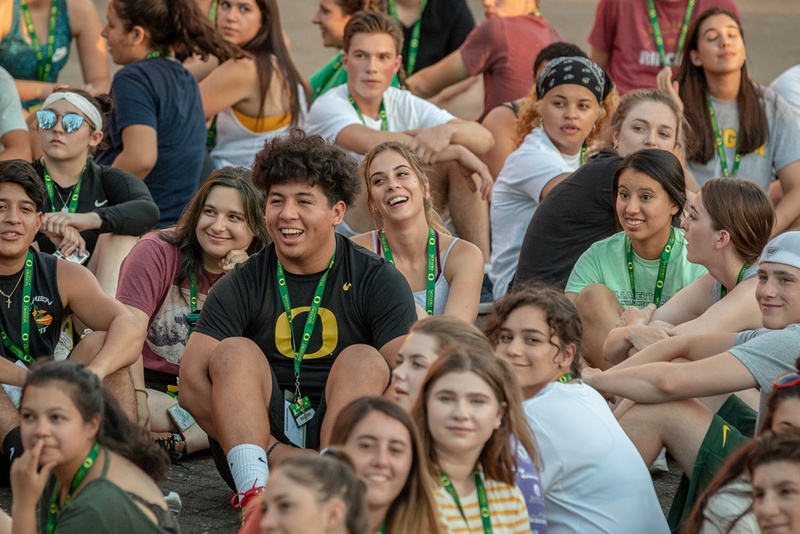 “My favorite thing, honestly, is seeing the transformation from the first morning, when students first arrive and they’re a ball of anxiety, to that evening 12 hours later, when they’re singing and chanting with friends,” said Keith Frazee, assistant director for orientation programs. Students learn about the academic expectations that await them and how to transition from high school to a more rigorous academic environment, he said. And they’ll take part in activities intended to give them a sense of community and belonging, he said. 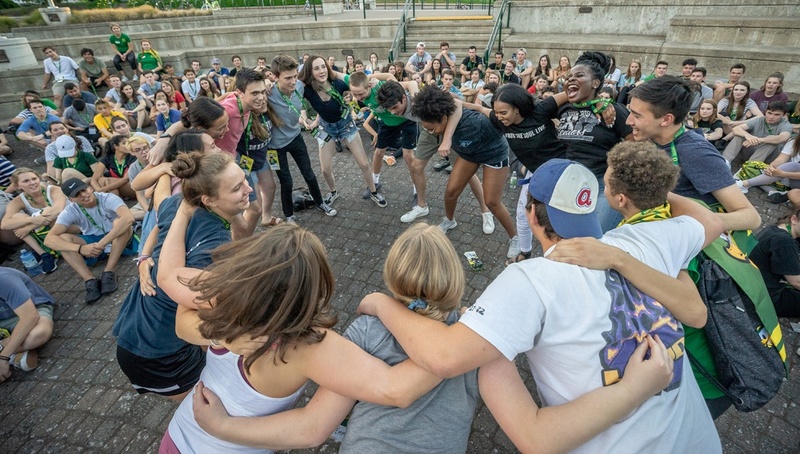 Students are divided into small groups called flocks, led by student orientation staff members. The flocks are selected to ensure a variety of majors, home states, and racial, ethnic and gender identities, he said. 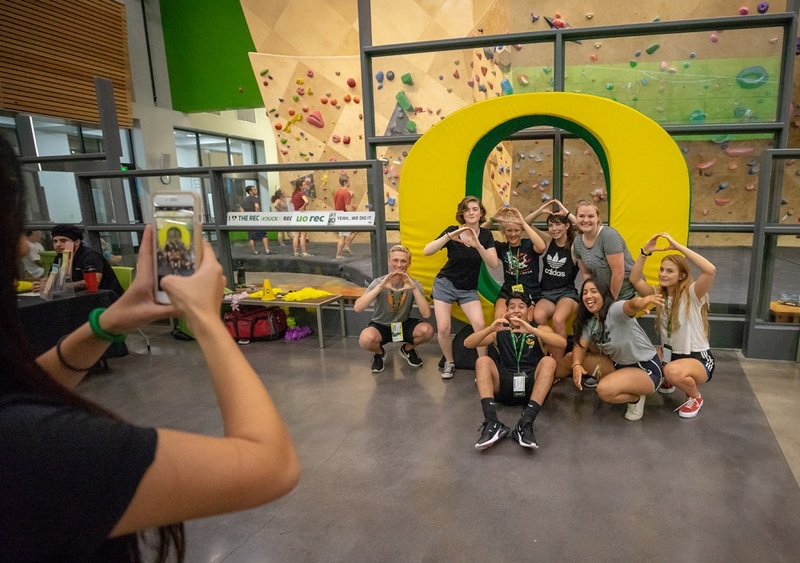 They can also take tours of campus — including an optional running tour — as well as a tour of Autzen Stadium. 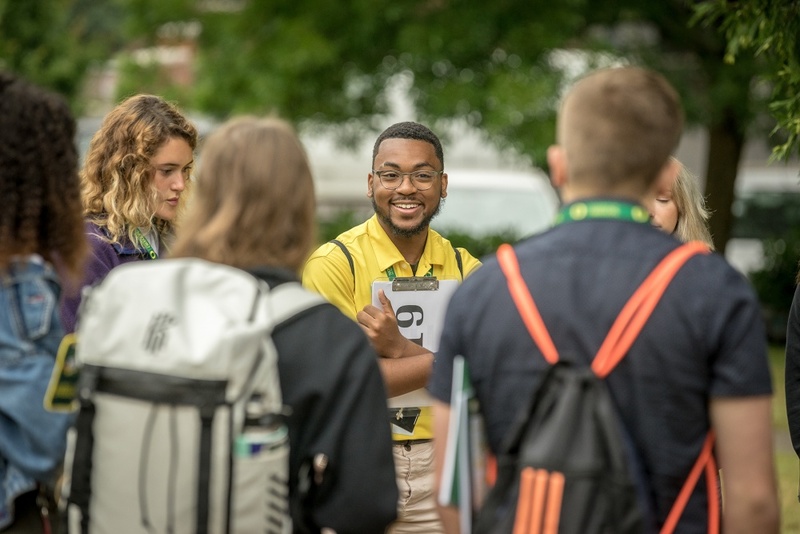 A scavenger hunt helps students learn their way around campus. And they spend an evening in the Student Recreation Center, eating free food and playing in an epic dodgeball tournament. Both parents and students attend sessions where they get some straight talk from university officials about how to prevent sexual violence, binge drinking and other unhealthy behaviors. It’s part of a comprehensive, science-based effort to keep new students healthy, safe and successful as they make the transition from high school to college. Within IntroDUCKtion are several identity-based programs. BienvenidOs is a program for parents and family members of students who are Spanish speakers. So You’re the First is for first-generation students and their families. And the Black Student Cultural Experience is for black students and their families. The names of the programs were created by participating students, Frazee said. 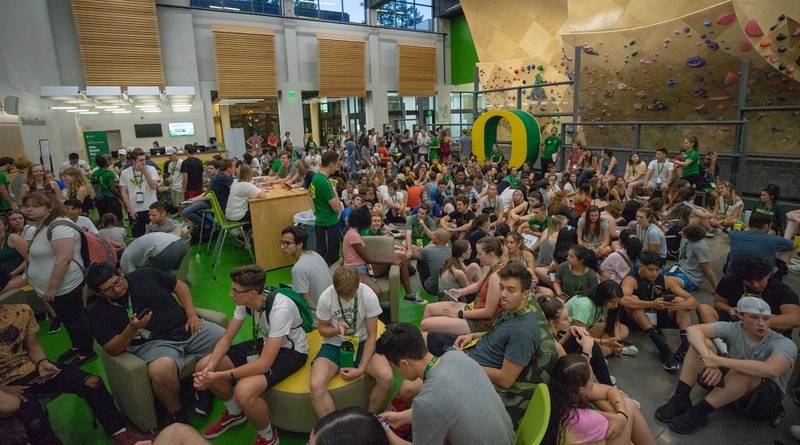 IntroDUCKtion takes place over nine two-day sessions on campus from the end of June to the start of August, with about 450 students at each session. 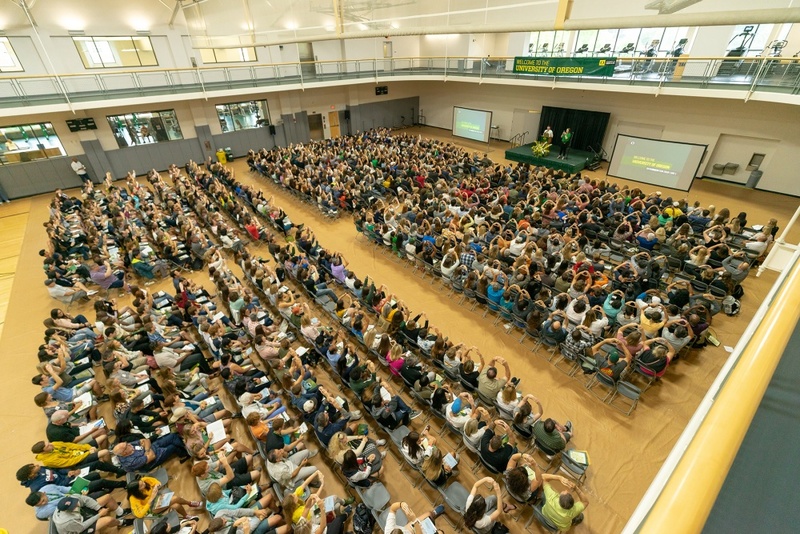 In addition, this year the UO added off-campus sessions in Chicago and Arlington, Va., after experiencing success with off-site sessions in Honolulu in recent years, Frazee said. One of IntroDUCKtion’s traditions is lunch on the Pioneer Mother Lawn on day 1. Students and parents sit on metal folding chairs arranged in circles, munching on sandwiches, salads, chips and fruit. Judy Lam, who grew up in Los Angeles and recently moved to Portland, said she was a little nervous before orientation, and was anxious to get her classes figured out. She liked what she saw of the residence halls, and in particular, the showers. Jake Brugger of Davis, Calif., said he too was looking forward to getting his class schedule. “I have a lot of questions about that,” he said. He said he enjoyed getting to see Eugene. “It’s kind of cool to see my new home town for the next four years,” he said. 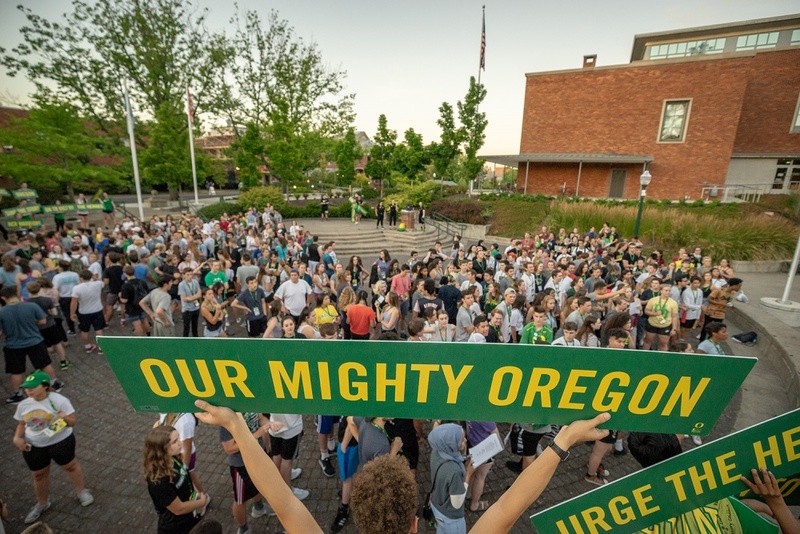 Though he lives in a college town, Brugger said he wanted to experience a different campus culture. 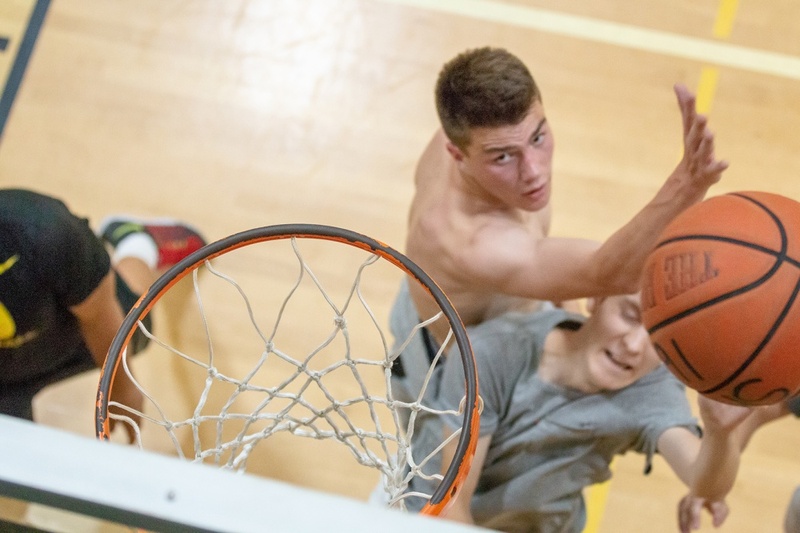 “I like the mix of academics but also how they’re rah-rah about sports,” he said.